This program can no longer be downloaded. You can look for alternatives in YouTube downloaders. TubeTV combines two tools in one: a browser to search for videos on YouTube or Google Video, and a video converter. Set in a simple, browser like interface, TubeTV lets you skim through the two video clip websites and even upload the url for a video clip you like. You can even use the search bar to look for specific videos. 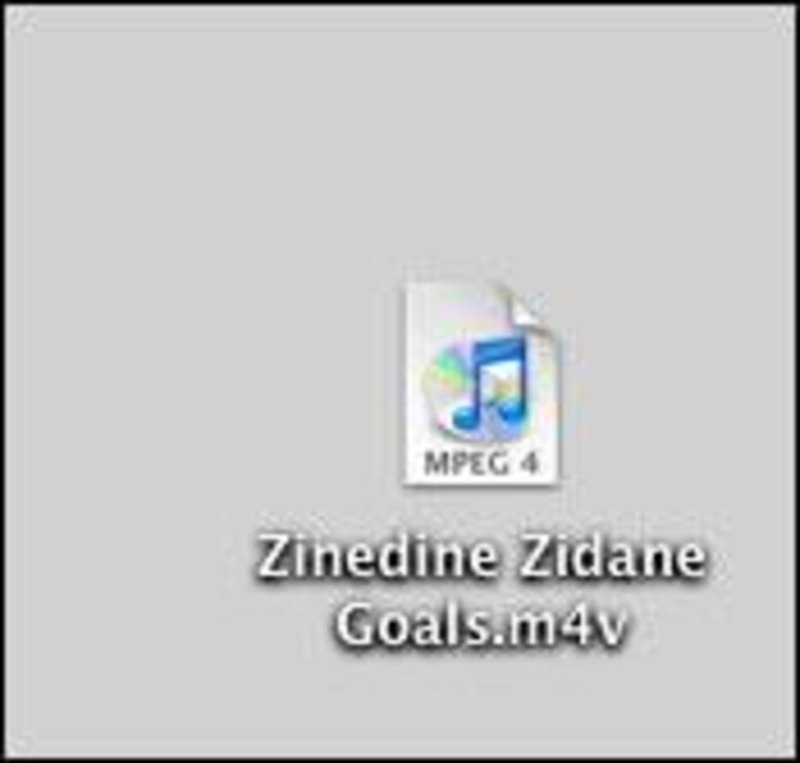 After you've found a video you want to keep, all you'll have to do is save it and convert it. TubeTV has presets for most outputs you might be using like the Apple TV, iPod or iPhone and uses the high quality H.264 codec to convert them. The only thing is that you'll need to have Quicktime and the Perian component to convert and play the flash files. A clear cut browser-like interface and simple conversion features make TubeTV a great program to find and convert online video clips. However most users will already know that you can view You Tube videos with the iPhone and Apple TV anyways. Our suggestion is to use TubeTV if, when browsing You Tube, you come across a video you really want to keep and need it in Flash format. TubeTV is a Flash converter with a browser preview and search for YouTube and Google Video. * [new feature]Fully cached flash movies can now be saved immediately rather than re-downloading (requires Leopard or higher). * [new feature]Support for bookmarking movies (favorites) added (requires Leopard or higher). * [new feature]Optional history of recently viewed movies (requires Leopard or higher). * [new feature]New and improved version checking system which can actually download new releases rather than just sending the user to a web site. * [new feature]Redesigned progress window which behaves more like users expect with regard to resizing and positioning. Progress items have a new option to reveal associated files in the Finder. * [new feature]Enhanced preferences with more user customizability. * [new feature]Various UI enhancements. * [new feature]New option to automatically add converted movies to the TubeTV playlist in iTunes (playlist is created if not present). Movies are tagged to enable users to easily create smart playlists. * [new feature]New option to attempt a movie download from your default web browser without first displaying the movie in TubeTV. * [new feature]Support for downloading movies from dailymotion.com. * [bugfix]Fixed a problem on certain web sites where the save button wouldn't remain enabled even though it should have. * [bugfix]Fixed a crasher which could occur in rare cases when attempting to load a preview thumbnail using Perian. * [other] Retooled help system with much more information about all aspects of TubeTV. * [other] This version is localized in German by Björn Uhde and Wolf-Jakob Gratz, French by Antoine Desir, and Spanish by Francisco López. * [other] Numerous other small changes and improvements. 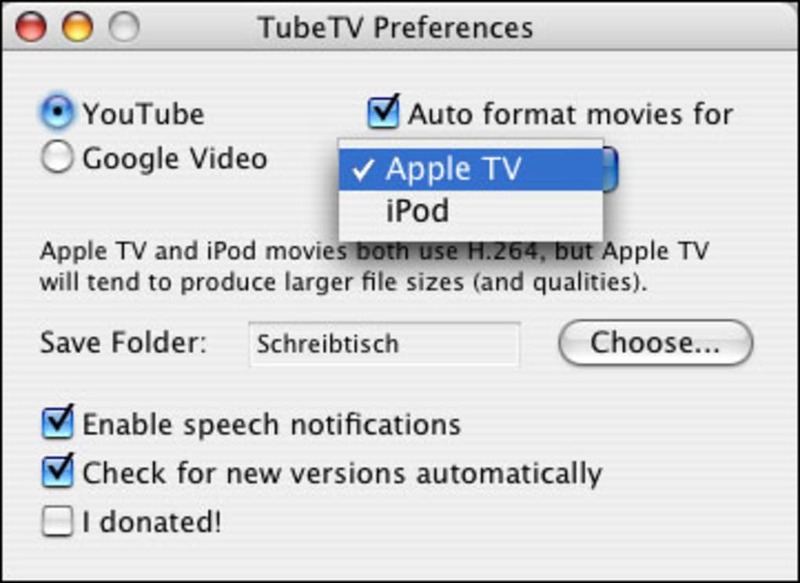 TubeTV is a new freeware program for Mac OS X Tiger and above which enables you to search for, save, and convert Google Video and YouTube videos to a format suitable for playback on your favorite devices. A built in search bar and web browser helps you conveniently locate your favorite videos, or, if you prefer, jump to the current URL of your default web browser with the jump button, or paste one in directly. High quality video conversions using the H.264 codec are performed with QuickTime®. Double clicking on a converted video file will open it in iTunes allowing easy library addition and syncing to your desired device. Note that TubeTV does not interact with iTunes directly - it's the same as importing any other video file to iTunes. Alternately, just drag a saved video file on to QuickTime Player to view it locally. What do you think about TubeTV? Do you recommend it? Why?